So I decided to mod my EHX Soul Food. As you may know, the Soul Food is a pedal "heavily inspired" by the famous Klon Centaur. The Klon is a rare overdrive pedal, which sells around 1500 euros today! 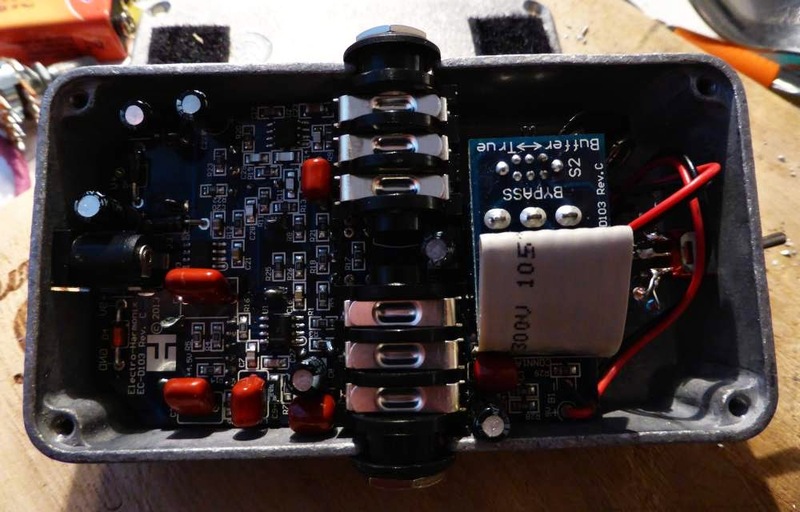 This stompbox, created by Bill Finnegan in the 90s, is an overdrive with 3 controls: gain, volume and treble. It has been used and abused by many guitarists, including some famous ones like Jeff Beck. 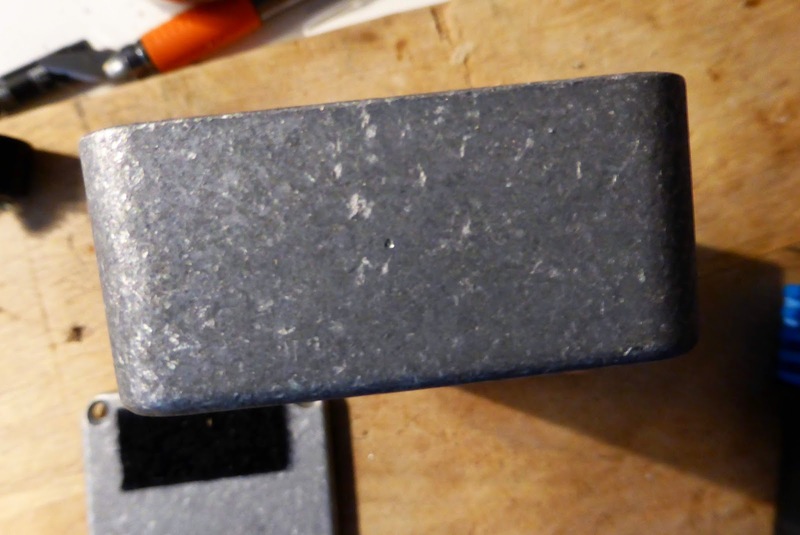 The Centaur is also known for its good quality buffer, like the Pete Cornish pedals. 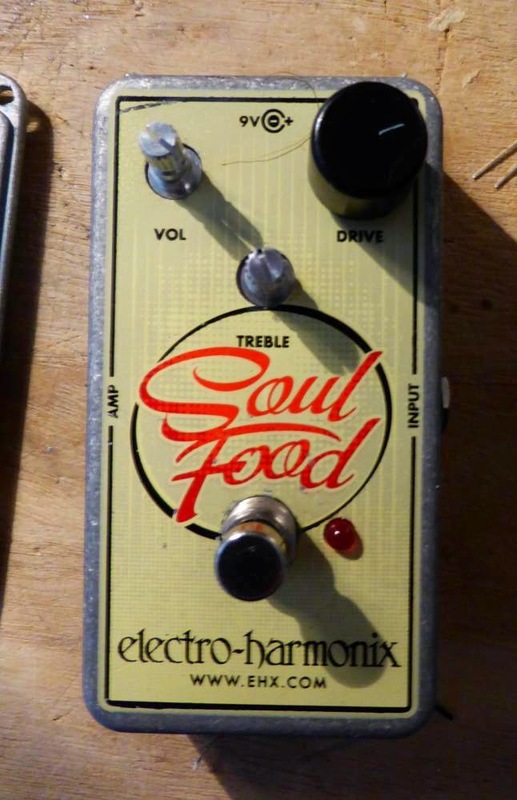 Thus, the Soul food is a cheaper version of the Klon. 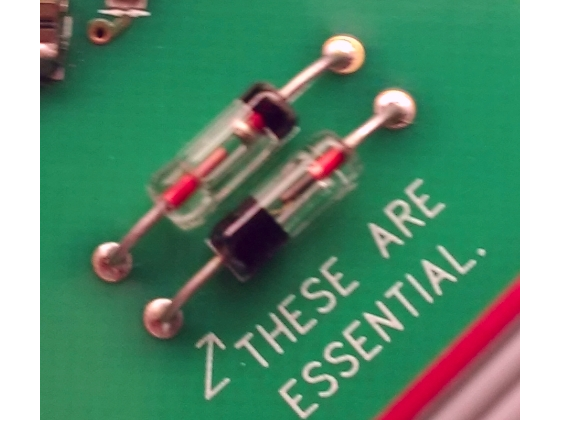 However, when looking closer to the pedal, we can see that the diodes ("essential" says Bill Finnegan on the PCB of the new version of the centaur, the KTR) are not the same as in the Klon. Indeed, the klon centaur's diodes are germanium, whereas the Soul Food uses Schottky silicon diodes! 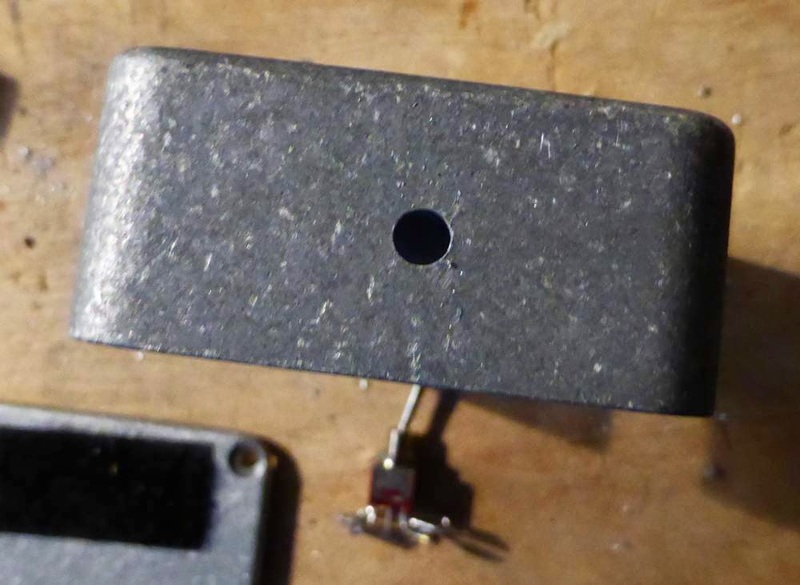 The diodes are hidden on the top part of the PCB, in order not to scare the klon maniacs I guess. Diodes are indeed essential to generate saturation generally speaking, and germanium and silicium diodes have different properties, so changing it seemed a good idea. Today, lets see how the diodes can be changed by adding a simple switch to choose between the stock diodes and the original centaur germanium diodes. I will not be held responsible if you break your Soul Food by doing this mod. 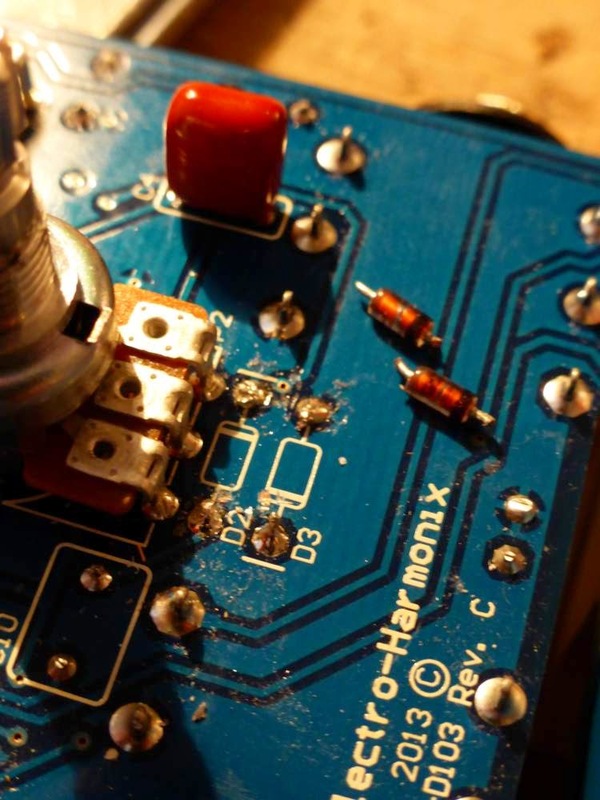 The Soul food is fragile: potentiometers are cheap, everything is surface components which are sensitive to heat ... etc. The modification is not difficult nor risky in theory, but be careful and cautious in order not to damage it! Something else: as we will see later, this mod is after all quite anecdotal. There are no big differences between the stock version diodes and the centaur diodes, and I guess it would be quite difficult to distinguish between the diodes in a blind test... So it is more like a test to prove that sometimes, importance of some components just results from the musical "hype" around it! 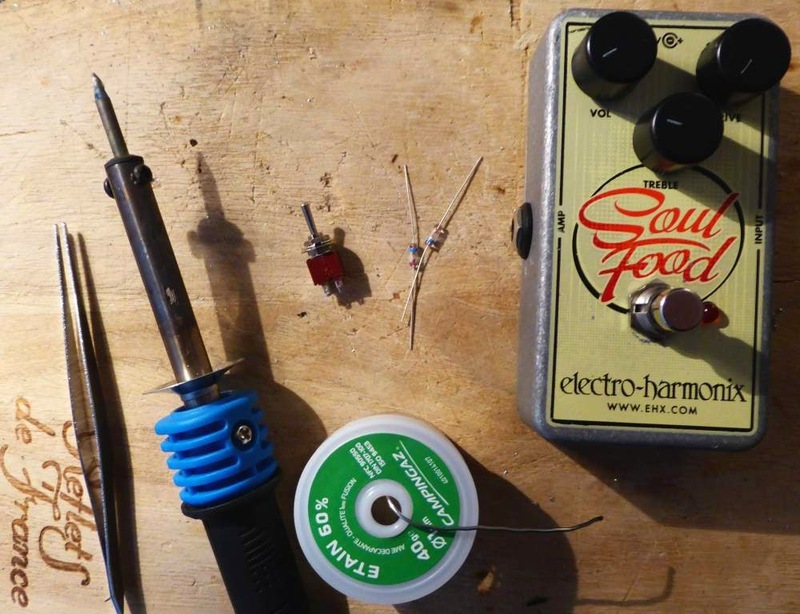 Learning how to do this will allow you to do mods like this on other pedals like tubescreamer, where the effect of diode selecting is much more pronounced. But do not expect great changes on the overall sound of your soul food! 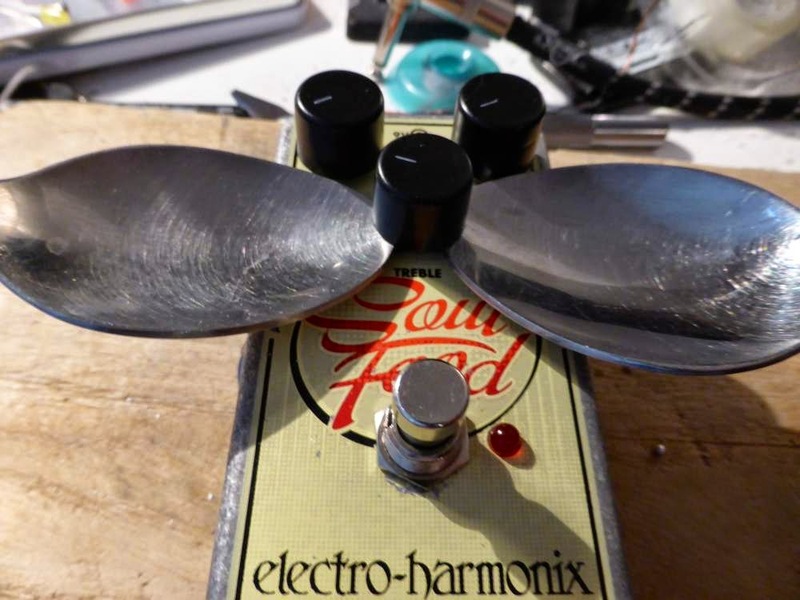 I noticed that East River Drive form EHX has almost the same design than the soul food, so you probably could do the same mod on the East River Drive following this tutorial. This would also be a much more useful mod on the East River Drive, much more sensitive to diode clipping. 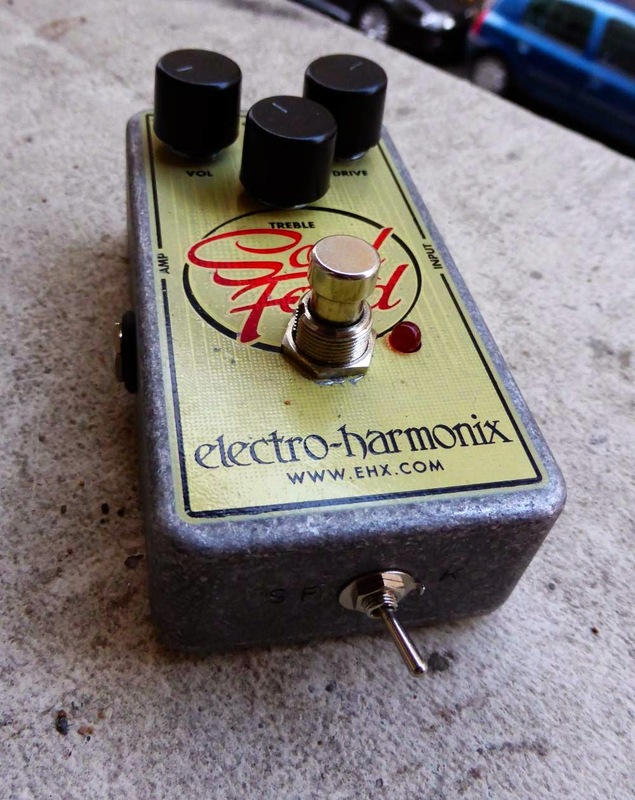 To do this mod, you will need a few things: a Soul Food of course, germanium diodes and a DPDT switch. 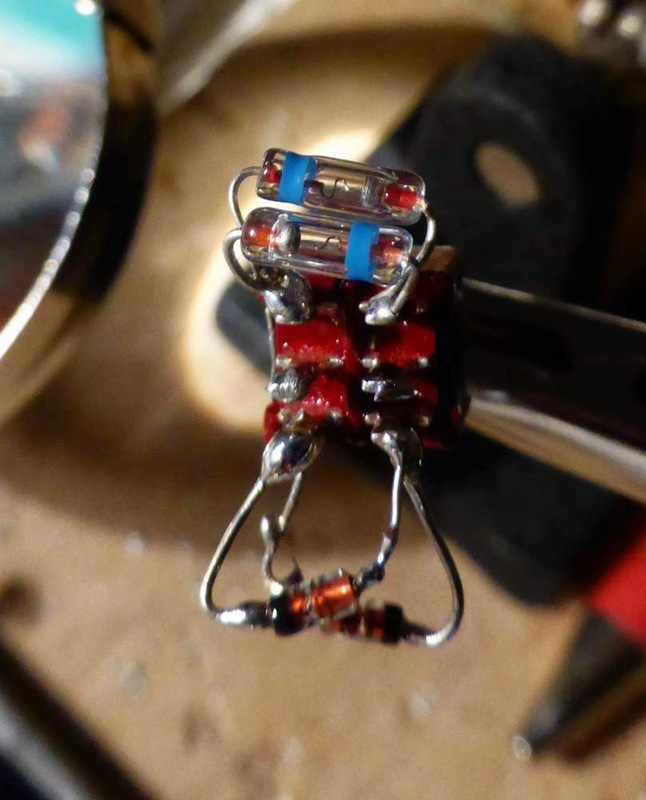 The original Klon diodes are still unknown, however the DIY community did determined that the diodes were really closed to D9E russian germanium diodes. If you want the closest diodes to the original, get these ones on ebay. Anyway, germanium diodes have really close properties between them, so classical germanium diodes like 1N34A, BAT41, OA1160...ect. will perfectly do the job! You also need everything to solder: soldering iron, solder, tweezers. A third hand can be useful too. We can then remove the backplate, with a screwdriver or a driller. 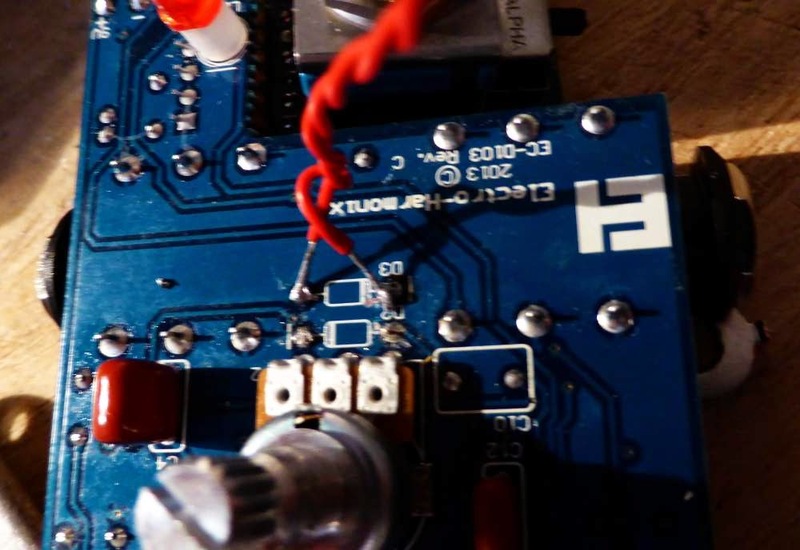 We can see the circuit, all with SMD, some film and electrolytic capacitors. We can also see the switch allowing true bypass or buffered mode. We can remove the circuit from the box, by pulling gently the jack inputs on both sides. To remove them, do not try to dessolder them. There is solder on both sides of the PCB, and these commercial solders are really dry / hard to melt. Moreover, fragile SMD components are on the other side of the board (heat sensitive !)... 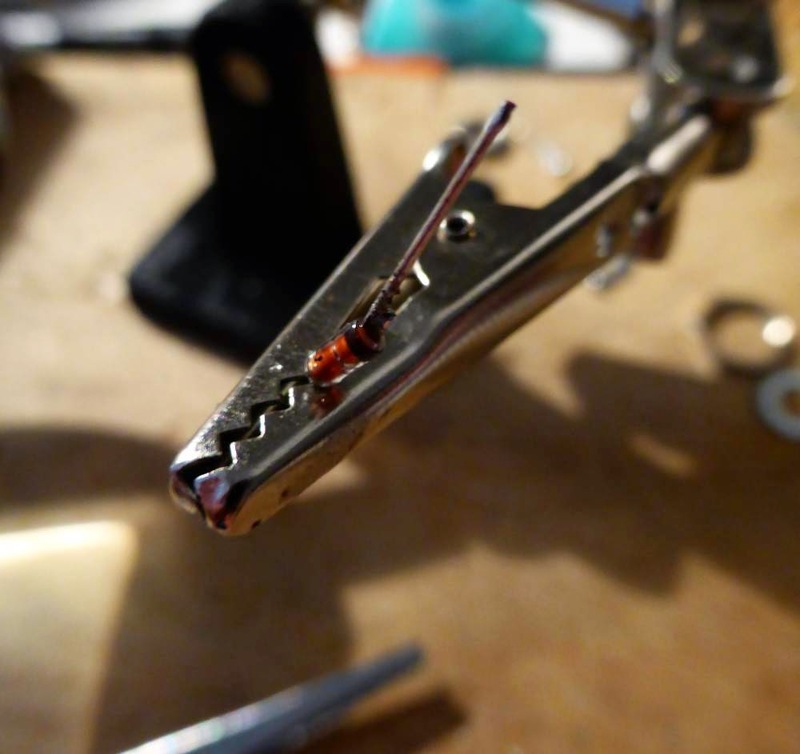 So my advice would be to simply cut the legs of the diode with pliers or a cutter. Try to keep as much metal legs possible, so we can add some length later by soldering legs of other components to it later. I did that way, and by twisting a bit the diodes, I took them off quite easily. We can then solder the germanium diodes on the DPDT. You have to solder them in an opposite polarity, on the top (or bottom) part of the DPDT. Then, we can do the same with the original diodes from the Soul Food. First, we can improve the length of the legs by adding some cut resistor legs. I just soldered it on the diode, using a third hand. We can then solder it on the bottom of the DPDT like the germanium diodes. We can then insert the DPDT in the enclosure. We have to insert the DPDT in the enclosure. There is not much room for it, so we will have to sacrifice the battery compartment. You can also put it next to the switch, but then when you activate the pedal you can just move the setting with your foot... I decided to place it vertically on the bottom side of the enclosure. For me it is better if you want to squeeze your pedals on your pedalboard than a side switch. With a hammer and a nail, we can mark the spot where the hole will be drilled. We can see the mark of the nail. It prevents us from skidding with the driller. We start with a small diameter, and increase progressively the size until the DPDT fits in. We are nearly finished now, last step! So we are going to solder 2 wires, one for each lug of the DPDT (in and out). To have the good length of wire, try to see approximately how much lenghth will be needed in the enclosure. Do not make it too short, it is better to have a little more than a little less in those cases! 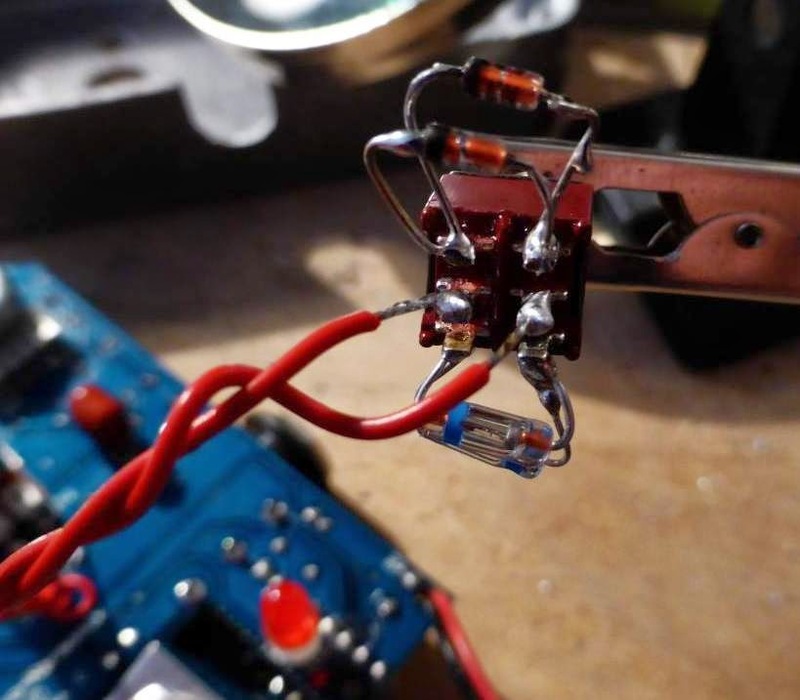 Do not forget to put a bit of solder on the naked wires before soldering them to make it easier. Then, we can solder those wires to the PCB, where the diodes were. 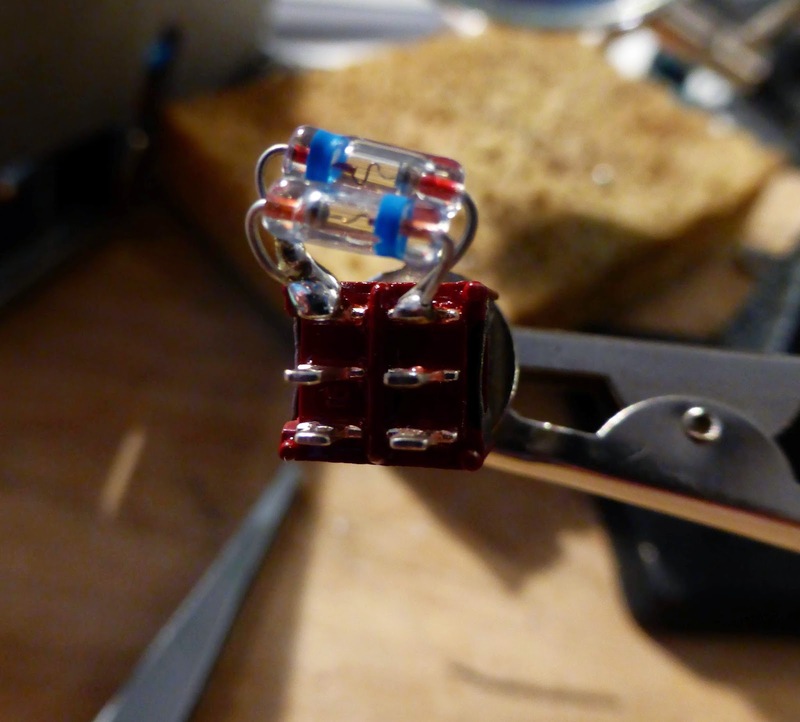 Just put one wire to each side of the diode D3 for instance (or D4, they are connected on both sides anyway). Lets put everything back in the enclosure, and we are done! 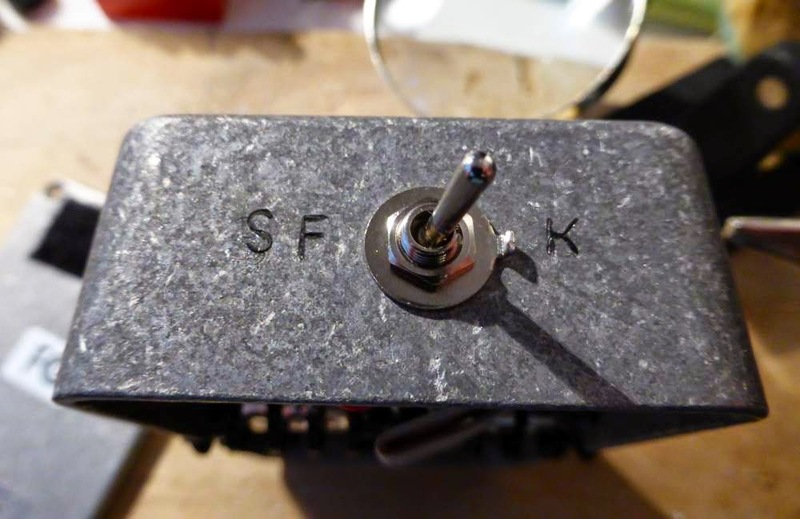 For a more professional looking, I just used letter stamps to engrave which side of the DPDT was which diode: "K" for Klon diodes (D9E), and "SF" for Soul Food (original diodes). A bit of China ink and voilà! Finished! Here is the modded Soul Food! I have to say that I am quite disappointed... Differences between the 2 types of diodes are really minimal! Maybe the germanium diodes sounds a bit better at higher gain settings ("maybe"), a bit brighter... But nothing that really stands out really. I am not sure that the difference could be heard in a blind test. I tried to change the germanium diodes for classis 1n4148 diodes, and it was the same... Then, I tried with a soft clipping with 4 diodes (2 on each side), and the changes were minor.... Changind these diodes seems to have very very little influence on the overall tone and gain of the pedal! Desperate, I tried to remove the diodes! And very surprisingly, there was almost no influence on the sound! Most of the saturation comes from the distorting OP-amp and not the diodes... So maybe the "these are essential" is finally quite a joke from Bill Finnegan! So my advice would be to stay with the stock version! But, if you are curious, you can do this mod to ear it yourself! I am really surprised that some builders (JHS...) still do this mod, I do not get the use of it, apart from being closer to a real klon circuit.... Musically speaking, there are almost no differences! Almost all of the vividness emanates from your distorting OP-amp but not your diodes... Consequently probably your "these are generally essential" can be last but not least a good tall tale via Invoice Finnegan. 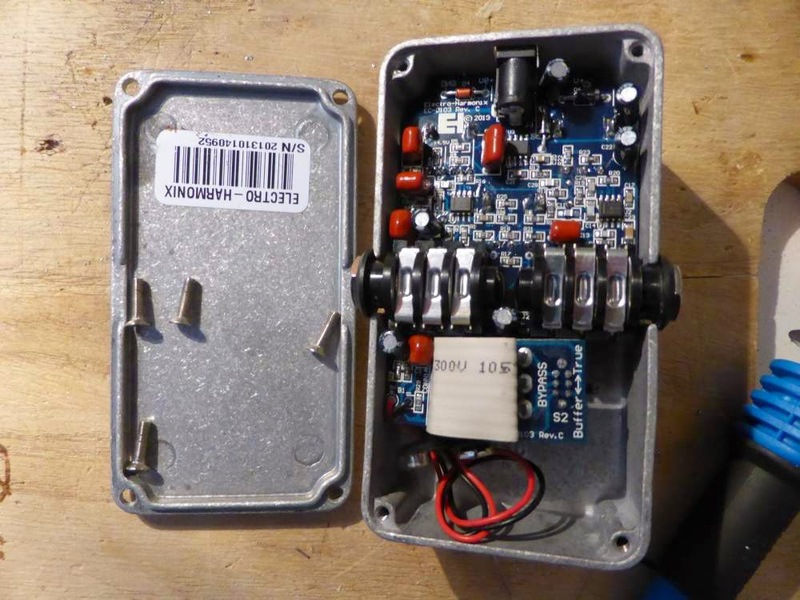 This improvements were being trivial, Changind most of these diodes has very very very little have an effect on within the entire develop in addition to attain on the pedal, also read more information. Apparently it is not trivial for everyone as people are still buying JHS modded soul food! I think trying it by yourself is a good idea, and allows you to enter slowly but surely into the DIY world. thanks for the test, I love the internet, how would we ever get to the bottom of stuff like this. I was up for changing the diodes, but after your very detailed post I will not bother. when your in a full band setting with dust falling off of the light fittings, noisy pub/club etc not sitting on your own in a sound proof room etc on your own with a bunch of pedals all sounding similar doing a test who will ever bloody know....pedal snobbery is complete pants, well done mate for exposing this pedals snobbery. In joyful with the mod for now. The Ge. Diodes seem softer and more round, addititionally there is an volume fall as a result of the forwarding voltage that is lower. To be honest I must play with it out loud in a gigabyte before I decide to mod one. I’m not certain if I would like to go to all the problem again. 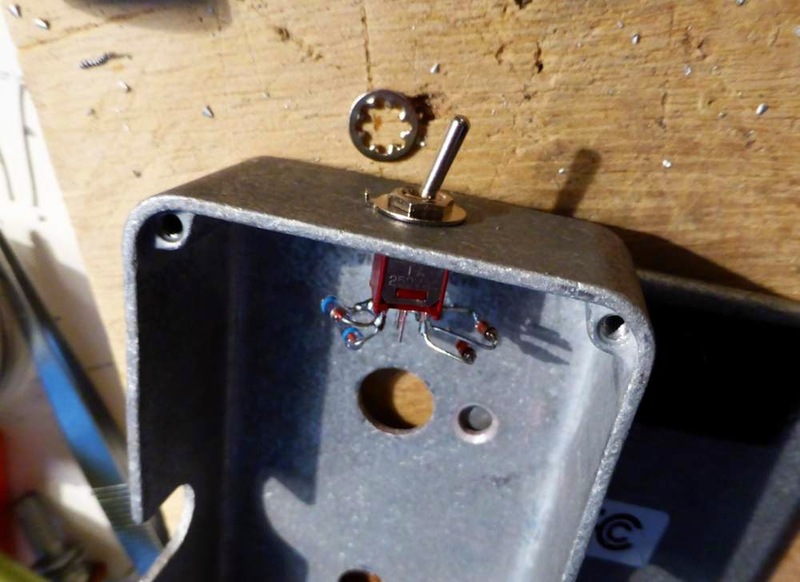 The mod and outlet boards in this build are more complex than hard wiring or a straight swap. The Klon myth continues no matter. That is the truth! I used to have a giant pedal board and just played a 2-night funk gig at a casino. Got disgusted with twiddling with settings and brought a small board with 3 overdrive pedals and a small multi fx for modulation and delays. Blissful night not tap-dancing all over a big board. The overdrives stack well also for different sounds. Only used a modded Electro-Harmonix LPB-1 boost, Cayline Pure Sky overdrive, and a modded Boss SD-1. Not tons of distortion. No high dollars. Tore the roof off the place. Most pedals are too compressed for live situations anyway. The louder the band gets, the less some of these compressed pedals come through, and the cleaner your sound needs to be. Low-dollar board, high-dollar playing is where it's at. Cheers! Do you have a sound sample for me, so i can hear the difference for myself? Interesting article, I appreciate the deep dive and deconstruction. I suspect that the answer to the enigma of the Klon centaur v. KTR v. Soul Food with JHS mod is emotion, and not technical. Do I strain to hear a distribution between the germanium diode toggle setting and the standard setting? Yes. Am I compelled to insist on a germanium diode nonetheless? Yes again. I find mysel obsessed with the legend of the centaur. I have purchased both the EHX soul food with the JHS mod and the Klon KTR, and I'm guessing my search will not end until I acquire that mythical creature, the centaur. Great job. Do you know what JHS mods are made to Bass Soul Food ?